Cooking in slow cooker offers healthy and tastiest food and if you use it often these 15 slow cooker hacks are worth knowing! Despite its name, the rice cooker is not a single-minded kitchen unitasker. Sure, it is the easiest way to make perfect rice, but it’s also a convenient way to cook a wide variety of foods. 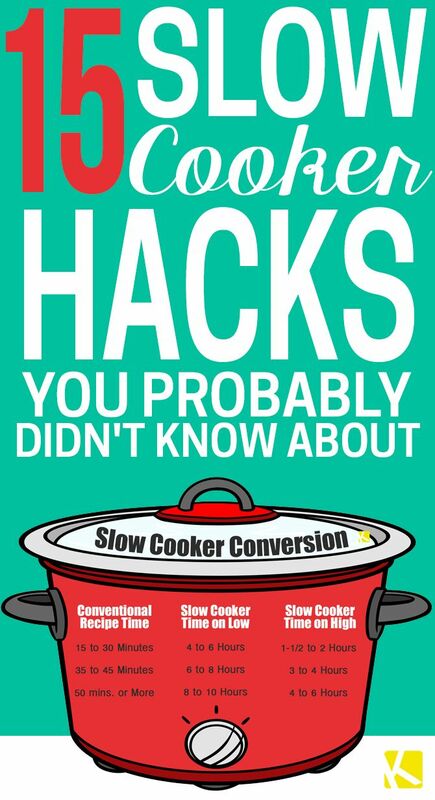 Here are some of the great hacks to use your slow cooker in many ways. 1. 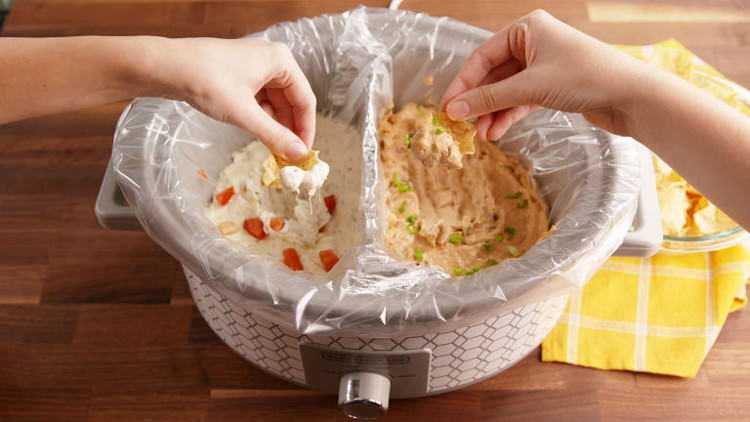 Create a barrier with foil to use one Crock-Pot for two dips. Use heavy duty foil to create a snug barrier that cuts across your slow cooker. Then use a slow cooker liner to keep two different dips separated. 2. 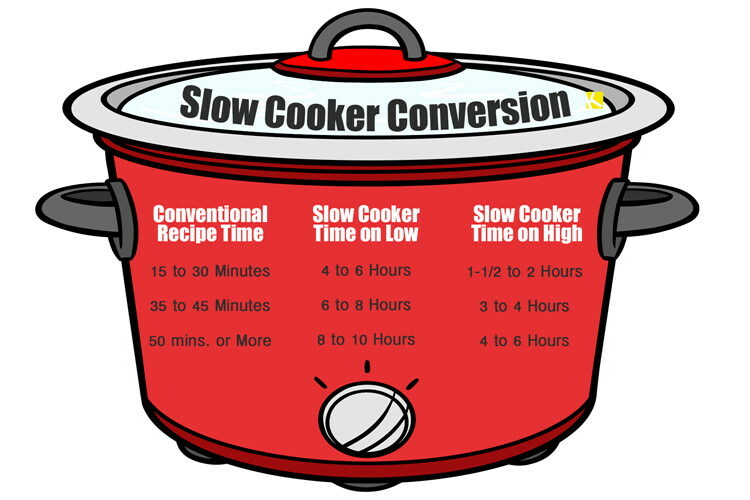 Convert any recipe to a slow cooker recipe. You may have to adjust the amount of liquid called for in the recipe (like adding 1/2 cup water or broth if no liquid is called for), but otherwise, converting a conventional-cooking recipe to a Crock-Pot one is easy. Just use the guide above. Also, if you’re making a stew or soup, just be sure to add the veggies in first and place the meat on top. 3. Brown meats before placing them in a Crock-Pot for more flavor. 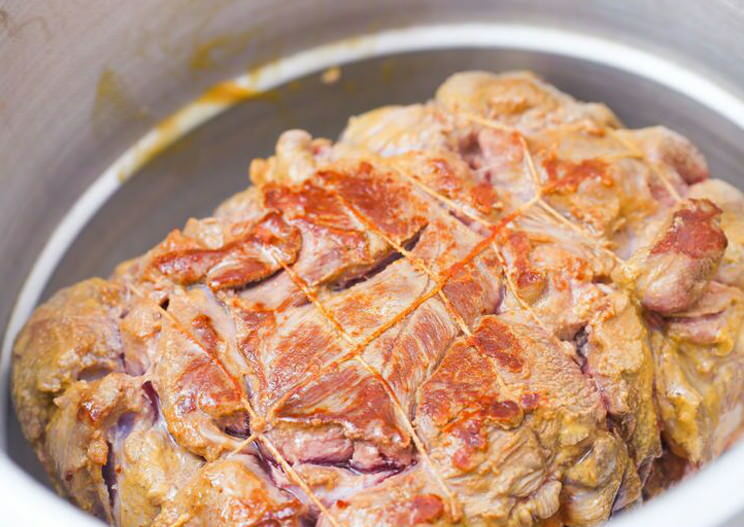 Although you can cook meat fully in a slow cooker, searing meats first will give your dish a richer flavor. The seared pieces help hold in juices, and any extra fatty parts crisp up nicely. Visit The Krazy Coupon Lady.com to read full post.